What could a flood cost you? Preventing a flood could save you big money! No one plans for a flood, in fact when we are planning for the future we plan for wonderful things to happen, vacations and the like. We don’t plan for plumbing problems, we don’t plan for water heaters to burst while we are at work, we certainly don’t plan on that leaking angle stop we’ve been meaning to have fixed turn into a flood disaster, but let’s be real, plumbing problems happen. Restoration damage from a flood can be a big hit to your wallet. A flood can cause you serious financial pain as well as completely disrupt your life and family as your home is taken apart and having it put back together again. Did you know the average cost of a flood based on insurance company statistics can range from $21,000.00 and can go up to over $100,000.00! New baseboard molding, replace carpet/flooring, cleanup materials, some furniture and person items, repair work to interior walls and replacement of computer accessories. *Estimates are for instructive purposes only and are provided by flood.gov and are based on a 2000 square foot home. 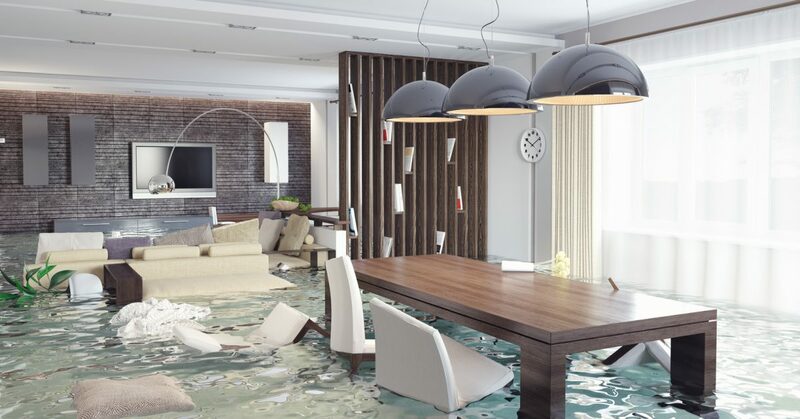 Many of the floods we see could have been prevented and that is our goal at Robins Plumbing, Inc. to help you prevent a flooding catastrophe in your home. An annual plumbing home inspection could save your retirement fund or child’s college fund from becoming victim to unexpected and preventable flood damage. If you’re a Loyalty Member with Robins Plumbing, Inc. we will perform your annual plumbing home inspection free of charge, saving you $189.00, and of course the potential savings of an avoided flood. Part of your plumbing home inspection include visually checking your water heater, all of your angle stops, shut off valves, faucets, visible water supplies, visible gas connections, and pressure regulators just to name a few. We also ensure that you know how your plumbing works so that if you find yourself in an emergency situation you know how to shut the water off at the source or to your home. Contact Robins Plumbing, Inc to schedule your annual plumbing home inspection. Having more than two decades in the plumbing profession I highly recommend reviewing your insurance policy to ensure it covers flood damage. From one homeowner to another, I see insurance policies that we find our clients have don’t cover flood damage, in an effort for the insurance premium to be as low as possible. That isn’t always the best course of action. If you have a trusted relationship with your insurance agent it is advisable that you connect with them and see if your insurance covers you in case of a flooding disaster, if you don’t have a great agent someone we have found has provided great service and great rates for their clients is Hassett Insurance.